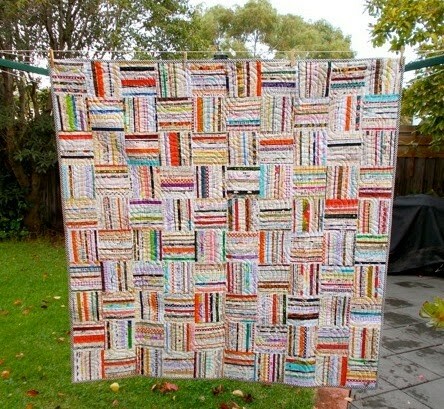 Selvage Blog: Prize-Winning Selvage Quilt from Down Under! 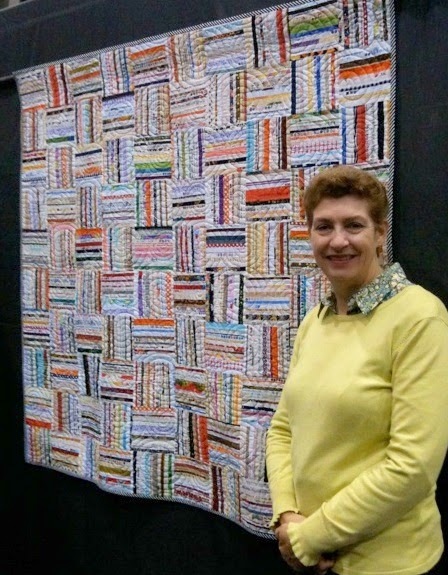 Meet Anne Robinson from Melbourne, Australia, the maker of this prize-winning selvage quilt! The quilt is titled: Selvages Squared. The Highly Commended ribbon was from the recent Victorian Quilters' Showcase in Melbourne. I love the bits of orange that sparkle in this quilt. And the circular quilting is fabulous! I love the woven look of the pattern. Well done Anne.